Ardemagni began her presentation by contextualizing lifelong learning historically, as well as by clarifying how the topic fits in with formal education and training. She went on to discuss the characteristics that define the deliberate learning inherent in formal education, including a focus on intention and outcomes and an understanding of the specific reasons for working to obtain a skill, with the goal of retaining and using learned skills. However, since the field of interpreting is still viewed by many as a fall-back profession for bilinguals, Ardemagni notes that most professionals rely on organized adult education for training, which lacks in the deliberate learning structures of formal education that would identify the many competencies required for interpreting, along with the structure within which to obtain all of those competencies. According to Ardemagni, lifelong learning in interpreting therefore requires professionals to pursue and organize their own continual learning in order to continually respond to changes in language, cultural, technology and societal institutions. This is especially true since the failure to actively pursue lifelong learning may lead to declines in skills or the fossilization of incorrect language use or professional behaviors. To continually achieve lifelong learning, Ardemagni suggested the pursuit of courses or degrees, on-site trainings and webinars, along with reading and listening in a professional’s working languages. As far as developments in lifelong learning, Ardemagni noted that many questions remain, including the impact of this pursuit at home and abroad, how to recognize the various forms of learning, time and money investments to be made and additional research upon which instructors can draw in the formation of training programs. What is certain is that lifelong learning requires self-motivated learners, the creation of educational material, time, support from employers and stakeholders (not to mention the identification of stakeholders), along with funding and salaries that match professionals credentials. As stated above, Ardemagni’s presentation was the fourth in the MATI Brown Bag Webinar Series. This webinar was offered free to MATI members and non-members alike and was very well attended, with over forty registrations. MATI is currently seeking future presenters for the Brown Bag Series. To suggest a presenter or propose a topic, please email matiemail@gmail.com. MEET OUR TREASURER: KATE JANKOWSKI! MATI Member Spotlight: Meet Our Treasurer Kate Jankowski! Kate Jankowski is an English to Polish translator and interpreter. She holds Master’s degrees in English Philology and in Public Administration, along with a Certificate in Paralegal Studies. 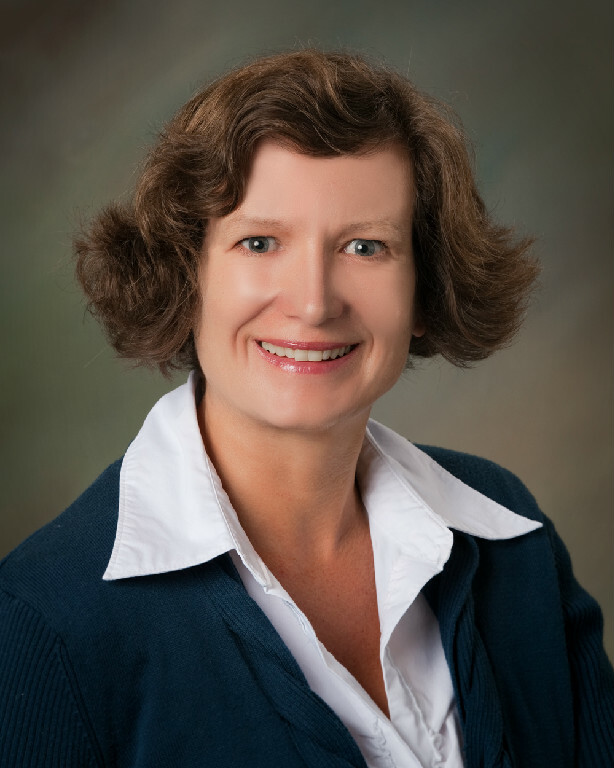 Jankowski is also an ATA certified English to Polish translator and a Wisconsin State Certified Court Interpreter. She is MATI’s current treasurer as well and has been a member of the organization for over five years. I live in the western suburbs of Chicago, and I have a small office in Addison, IL, from where I run my company called PLUS Professional Translation Services, LLC (www.plustranslations.com). How did you acquire your B language(s)? I was not aware of it, but I was exposed to foreign languages from early childhood. I come from the part of Poland called Upper Silesia. My grandmother spoke Polish with a Silesian dialect and was fluent in German. I went to grade school in Poland at the time when Russian was the only foreign language taught at school. My neighbor found an English tutor but could not afford one-on-one lessons. Although reluctantly, my parents eventually allowed me to join the neighbor, and I started learning English when I was about 11. I was able to get into a high school that offered English and then graduated with a master’s degree in English from the Silesian University in Poland. Most of my instructors spoke British English, and the first English speaking country I visited was Ireland. I ended up getting a scholarship in the US. I was an exchange student at the Southwest Texas State University (now called Texas State U.) in San Marcos, TX. I went back to Poland to graduate and then returned to Chicago, where my husband was finishing his studies at that time. I believe that keeping up with my native language is equally important to mastering my B language. Polish spoken in Chicago uses a lot of borrowings from English, so I travel to Poland at least once a year to get a booster of current Polish--only to find out that it assimilates more and more words from English, just in a different way. How long have you worked in your field? How did you get started in the field of translation and/or interpretation? I was still a student when I was hired as an in-house translator by a company which was in charge of a pesticide hazardous waste cleanup program. It was in the early 1990s and a lot of technology, equipment and procedures were new and coming to Poland from the Western countries--all written in English and needing to be translated into Polish. Some funding for the program was provided by the European Union. The sponsoring agency wanted to know how its money was used, so I also translated progress reports and communications with the agency. The field was new, but I had unlimited access to source texts and colleagues who had specialized knowledge in the scientific fields that I needed, including chemistry, hydrology, and environmental engineering. I did not have a computer back then. I was handwriting the translations and giving them to a lady that would type them for me on a typewriter. No, she did not know English, so spelling mistakes were frequent and my handwriting had to be very neat and clear for her. The advent of the Internet was another blessing for me. I was still able to work for the company while I was in the U.S. Our (mine and my husband’s) decision to return to Poland was taking longer than expected, so I decided to go back to school. Because of the field that I was working in, I went for the Public Administration Environmental Management program at Roosevelt University in Chicago, IL. Long story short, we decided to stay in the U.S. The company was no longer my employer but became my client. I had to find more customers, but my field was very narrow, and I had to see where else I could offer my services. While settling in Chicago, I was seeing doctors and attorneys and I figured these would be two groups of professionals for whom I could interpret. I remember doctors’ appointments being emotional and sad: every patient had a story to tell, but no one had the time to listen. I was once asked by a friend to come to a court hearing with her to interpret. I thought I got it, but oh my! Was I wrong! I did not know when to approach the judge, when to begin speaking, and when I finally figured it out, I understood what he was saying but did not have the Polish vocabulary to say it to my friend. Embarrassment only begins to describe how I felt. I began to look for courses in court interpreting in my language pair, but could not find any. I found paralegal studies to be the closest useful thing and decided to give it a try. I thought, if not interpreting, I would at least get familiar with the US legal system. In the meantime I was also working on my professional credentials. In 2003, I became a “sworn translator” registered with the Ministry of Justice in Poland. In 2006, I was certified by the ATA and recently became a translator and interpreter for the U.S. Department of State, along with getting my court interpreter certification from the state of Wisconsin. It took me a while,but I think I found my specialty in the legal field. My job offers quite an interesting mix: I do both translation and interpreting, go back in time, but also assist people with their present-day needs. My day usually consists of a court hearing or deposition, translating and meeting with people with fascinating stories. I work with Polish Consulates in the U.S. and help people to get their Polish citizenship, recognize their marriages, divorces, or register births in Poland. My typical customer is a third generation Polish-American, whose grandparents fled Poland during World War II, briefly stayed in another country and then immigrated into the U.S. Some families have documents from several foreign countries, so I collaborate with a lot of translators from other languages. Throughout the years, I received a lot from others. It is time to give back. MATI is one of the organizations I volunteer for. I am also a member of the Leadership Council for the ATA’s Slavic Languages Division and have been the Board Secretary at a local Polish school for over a decade. Those who have stuck through the toughest of times and continue to smile. Reposted from the Bright Association Press, the Webbright blog, with permission from Lamees Abourahma, Bright Founder & President, Webbright Services, LLC; visit the original Webbright blog posting here. Our guest for this edition of the Bright Association Press is Christina Green, the 2012-2014 President of the Midwest Association of Translators and Interpreters (MATI). Christina is an independent translator and interpreter in Wisconsin and has been a member of MATI since it's inception 10 years ago. MATI, a chapter of the American Translators Association (ATA), is a professional association founded by and for translators and interpreters in the states of Illinois, Indiana and Wisconsin. MATI's membership has grown from 20 members to 120 since it moved to its new website about a year ago. To learn about MATI's successful transition to its new website, read MATI's website case study here. One of the unique things about MATI is that it's an association that spans over three states: Illinois, Wisconsin, and Indiana. This means that the association utilizes virtual techniques to have a strong presence in each of the three states, but the association's physical presence with its active members and board members keeps the organization running in a physical sense. "We do have some very active members, whether they are board members or [former] board members, and they in the three states," Green said. "They are very active. They run a lot of activities past us. So, we are able to have a very active presence and meet with people face to face." MATI has three types of members: student members, corporate members, and regular professional members who are currently translators or interpreters. Anybody who works in the language industry can join in the association. "We don't discriminate," Green said. "If you are simply a logophile, and you want to join an organization or association that deals with languages you're more than welcome to join ours." One of the benefits of joining MATI is the provision of continuing education activities and gathering activities. The association also has a members-only section on its website where members can post and find jobs, and does excellent work of keeping its members informed about the industry's latest trends. "What draws in members, first of all, is the idea of being part of a group. Considering that translators, historically, are very isolated people who actually sit behind a computer and they translate with very little, or no interaction, with other human beings other than by email or phone every once in a while," Green said, "Getting together with other professional members who do the same thing they do actually gives them a very good perspective on where the industry is going, what the trends are, the new tools available in the market, and things of that nature." Many associations have trouble recruiting and retaining young members, but this isn't the case for MATI. The association is fortunate enough to include Wisconsin as one of its three states, which has the University of Wisconsin in Milwaukee. UWM has a one of the only three or four programs in the entire nation that offers a bachelor's degree in linguistics and languages translation and interpretation studies. "So, with that, we have actually viewed, not only the professors at the university as a way to getting into the classroom and explain to the students not only who we are but the importance of being part of a professional organization, but also we have used their resources in order to fulfill our mission," Green said. "So we use, for example, the university's auditorium for our conferences every two or three years. We have improved our young audience exponentially, especially since the new board took over in 2012." As for member retention, Green says the first thing is communication, which is much more than mass emails. Communication is also about listening to your member base and meeting with members one-on-one if possible. Although this strategy has worked well for MATI in developing new programs and initiatives, Green admits that one-on-one meetings isn't something that every association can do. "Of course, we can do this because we are not an association of 1000 members. You know, when you have that size it's a little bit more difficult to call [everyone] one at a time and communicate with them," she said. "Still, with an association of our size it hasn't been easy but it is something that we do. We communicate personally with them. And, they like that. People like that." About the Bright Association Press: The Bright Association Press is an interview series, hosted by Lamees Abourahma, Webbright founder and president, featuring association executives covering topics related to membership management, recruiting, retention, marketing, IT, and other related topics. We’re talking real-life professional associations’ challenges and unique solutions. Hope you enjoyed this edition of the Bright Association Press? Questions or suggestions? Love to hear from you. On Friday, January 17, 2014, Indiana MATI members and friends joined together for a post-holiday party and to ring in 2014. Braving the cold snow and chilling winds, approximately 13 guests met in downtown Indianapolis at BARcelona Tapas Restaurant where they shared great food, conversation, and a chance to meet and greet old and new MATI members. This year several new faces were seen, there was an equal number of both interpreters and translators, as well as representation from some translation agencies and several professors in translation and interpreting from Indiana University Purdue University Indianapolis. While sharing tapas and enjoying some exotic drinks, past MATI president Enrica Ardemagni spoke about the origins of MATI and encouraged everyone to attend the American Translators Association which will be held in Chicago in 2014 with MATI as the host chapter. Indiana looks forward to great programming and events from MATI in the upcoming year. Order your 2014 #LanguageAccess Calendar from the NCIHC today! Looking for the perfect gift for that translator or interpreter in your life (or for yourself)? The NCIHC 2014 #LanguageAccess Calendar would make the perfect gift! The calendar features winners of the NCIHC 2014 Photo Contest and includes important dates for the medical field, like National Breast Cancer Day, along with other cultural recognition days. Visit the NCIHC's facebook page to see the photo for each month, and order your calendar at NCIHC's website! All proceeds from calendar sales will go toward financing NCIHC activities. Sarah Puchner is a French > English translator and has been a MATI member since 2010. She holds a BA in modern languages and a graduate certificate in translation from UW–Milwaukee. I live in the Milwaukee suburb of Elm Grove and I work from home for ITC Global Translations, an agency based in Florida. Growing up in the south of England, I had plenty of opportunities to visit France: school exchange visits, family vacations, even day trips on the ferry. I grew to love the language and culture, and went on to study French, Spanish and Portuguese at the University of Salford near Manchester. For my year abroad, I chose to go to Dakar, Senegal, instead of France so I was able to experience life in French-speaking Africa. After earning my degree, I worked for the British Diplomatic Service for two years. My postings included Bangkok and New York which, while very exciting places to live, did not give me the opportunity to use my language skills. Fate intervened when I met my husband during the posting to New York. He was from a place I had never heard of before: Milwaukee. Fast forward several years: with four school-aged children, I decided that working from home as a translator would allow me to be available for my family while using my skills professionally. I researched the translation market and soon realized that in order to get started I would need either a new qualification or experience. That’s when I got in touch with the Translation Dept. at the University of Wisconsin-Milwaukee (UWM), enrolling in their Graduate Certificate in Translation in 2009. I had worked as a part-time translator in Portugal in the early 1990s and as you can imagine the translation profession today is very different! As well as improving my language skills, I learned about the business aspects of freelancing and how to use CAT tools. Being a student at UWM meant I was–and still am–connected to a strong network of other students, translators and instructors. In fact, I applied for my current in-house position after reading about it in an email sent from the Translation Dept. to alumni. An extremely valuable part of the course was my internship. I worked as a quality reviewer for Iverson Language Associates here in Milwaukee. This experience taught me how an agency operates. Also, I used Wordfast on a daily basis so my fear of CAT tools gradually subsided. Describe an especially memorable or fulfilling professional experience. My proudest moment as a translator came when I found out I had won the ATA Student Translation Award in 2010. My entry was a translation of a Haitian short story that I had worked on as part of the Literary Translation course at UWM. As I was just starting out at the time and didn’t have much to show in terms of professional experience, winning the award made my résumé more credible and boosted my confidence! Do you have any tips for those starting out in the field? Beginners are faced with the vicious circle of not being able to get work without experience, and not being able to get experience without work. I highly recommend a translation degree or certificate course at an ATA-approved school. This will help you make useful contacts in the field, especially if an internship is required. It also means you will be eligible to sit the ATA certification exam. Being ATA certified can compensate for a lack of professional experience. Also, use the resources available to you from MATI and the ATA. Go to as many conferences and events as you possibly can (I landed my first freelancing job as a direct result of attending the ATA conference in 2011). You are likely to meet other translators with whom you have plenty in common and who will be happy to give you advice. ATA members can also sign up to join the Business Practices listserv – here you can ask questions about getting started and learn from posts by others. Many successful translators are active on this list and their advice is priceless (http://atanet.org/business_practices/index.php, scroll down towards the bottom of the page for info. about how to join the list). The ATA has also recently launched a newcomers blog that can be found here: http://atasavvynewcomer.org/. I also recommend using social media to track trends in the industry, for example, by following translation companies and freelancers on Twitter. It only takes a few minutes a couple of times a day to catch up on what other translators are doing and thinking. For me, reading tweets about translation is the equivalent of stepping out to the bubbler in a real office–a welcome break to catch up with co-workers. Many thanks to Carmel Capati, Wisconsin Court Interpreter Program Manager and Director of State Courts Office of Court Operations, and Joanna Garber, author of the below, for allowing us to reprint this article from the Fall 2013 edition of the Wisconsin Court Interpreter Program (CIP) Newsletter, which can be accessed here. Sometimes it’s good to get out of your comfort zone, see new faces and recognize the ones you saw last year at the Midwest Association for Translators and Interpreters (MATI) conference. This year’s MATI conference was held in Chicago, IL where the atmosphere and the speakers were interesting and informative. The MATI board headed by Christina Green put together an excellent conference. It was a captivating event for newbies breaking into the interpreting business as well as for seasoned court interpreters. We also had good representation of translators both new and experienced. While all of the speakers were outstanding, two in particular really stood out. One of them was Prof. Alexander Rainhof from California who touched upon the never exhausted topic of ethical issues surrounding the interpreting profession. The other notable speaker was Atty. Cain Oulahan from Milwaukee who provided an overview of the ever-changing world of immigration laws. I met some great people from Illinois who are working hard to develop a court interpreting program similar to the one that we, in Wisconsin, have enjoyed for years. By chance I was seated next to Sophia Akbar, the new Language Access Program Coordinator for the Illinois Court System. I hope we can give them our support and continue the good work in our state. I was very happy to devote one Saturday meeting new colleagues as interested in the interpreting and translating profession as me. Moaning about late-paying clients, wondering whether to do a free translation test for an agency, fretting about how you reacted when a doctor told a patient that there was no connection between her newly acquired cough and her new blood pressure medication, trying to understand how to file for CCHI continuing education points, venting about a non-native-English-speaking direct client who wants to ‘touch up’ your English, exploring the personality traits of a translator versus an interpreter, comparing notes on the advantages and disadvantages of various CAT tools, or reporting on a intriguing new article or book you stumbled across. These are some of the things that enter into discussion when, as translators and interpreters living or working in the Madison, WI area, we gather monthly at a local coffee shop or restaurant. For every question, there is a colleague to shed a little light on a conundrum or provide a complete or partial answer. For every complaint, there is someone who has gone through a similar experience and has terrific advice or knows someone who can help us out. For every frustration, there is commiseration, support, and encouragement. We find plenty of cause for celebration too: when a colleague earns a certification or award, graduates college, gets a promotion, passes a major exam, has a baby, publishes a book, becomes a citizen, or ‘survives’ her daughter’s wedding. And we evidently find much to laugh about. At our recent October 16 meeting at Panera, the manager presented us with a large bag of cookies for this very reason. He said he just doesn’t hear people laughing enough anymore (excluding tailgaters from his tally, he stressed). Although we have no organizational ties or any political or religious affiliations, the group was an outgrowth of the September 2010 MATI conference in Milwaukee, where three of us from the Madison area first met and decided we’d like to have an opportunity to get together with our fellow translators and interpreters on a more regular basis. The numbers: While we generally have only half a dozen to a dozen at any one meeting, our email list has expanded to nearly 50 (plus another 5 “corresponding” members in other cities). Nearly half give Spanish as their working language, but another 17 languages are also represented (including Portuguese, French, Italian, German, Russian, Bulgarian, Albanian, Farsi, Hindi, Bengali, Mandarin, Japanese, Vietnamese, Catalan, Korean, and Nepali). About thirty of our members are medical interpreters, while around twenty are translators – bearing in mind that some wear both hats. About half a dozen do legal interpreting, and we have a few conference interpreters as well. The group has a Facebook page where anyone can post information on local events, course offerings, job opportunities, links to an article or blog post, or share any other information of professional interest. Our mailing list also serves as a way to keep each other up to date on professional happenings in the area. I like to come to our meetings because I enjoy getting out of the office and socializing with people who share my love of words and diverse cultures! I attend because it is fun to meet with other interpreters and it gives me a sense of community. Besides being fun and relaxed, our local group meetings are a nice way to exchange experiences and network. We share what’s going on, what’s new, or what’s working well for our colleagues. Our meetings are the only occasion I have personal, face-to-face interactions with other interpreters and translators, and that helps me keep in contact with the "real world" in that area. For me, these meetings are also a source of good advice and encouragement, which are very much appreciated! Tom Bonsett is a German > English translator and has been a MATI member for nearly 10 years. He has an extensive background in engineering and translation, including a BS in chemistry, a MS and a PhD in electrical engineering, along with a BA in German and an in progress BA in translation studies (German to English) at IUPUI in Indianapolis. I live and work in Indianapolis, Indiana. I grew up in a home that was bilingual – my mother spoke German with me while I was growing up. In high school I took four years of German. Later, after moving back to Indianapolis from Arizona, I started taking foreign languages classes at IUPUI in Indianapolis. I received a BA with a major in German in 2001. I then started working on another BA degree at IUPUI; this degree is in translation studies (German to English). IUPUI has an excellent translation program. I have not only benefited from the German translation, grammar, and literature classes that I have taken, but also from the classes that dealt with translation in general in which practical issues (such as how to estimate a translation job) were addressed. Another very useful class dealt with the theory and practice of editing. I have been active in German to English translation for about ten years. I took early retirement from my position as an engineer in 2011. Since retiring I have been working to complete a BA in Translation Studies at IUPUI in Indianapolis. My goal is a second career in German to English translation. My mother did translation work, so she had a major influence on me to develop an interest in translation. While working on my first BA degree I found that I really enjoyed the classes dealing with translation. I have three technical degrees (in chemistry and electrical engineering). I worked in the field of turbine engine instrumentation for about 24 years, being employed by two different turbine engine companies. I enjoy all types of translation, but given my background, I put an emphasis on technical translation. I think that what inspires me is simply the fact that I enjoy doing translation. I am a bit old-fashioned in that I prefer real books to electronic dictionaries. That being said, I find the BEOLINGUS (TU Chemnitz) and the LEO on-line dictionaries to be very useful. For general purpose dictionaries I use “Cassell’s German Dictionary,” the Oxford Duden “German Dictionary”, and the Collins “German Unabridged Dictionary,” in that order. For technical dictionaries I use the “Wörterbuch der Technik” by Girardet, the “Pictorial Oxford-Duden German-English Dictionary”, and the “Wörterbuch der industriellen Technik” by Dr. Ing. Richard Ernst, in no particular order. For finance and business dictionaries I use “Wörterbuch (Handel, Finanz, Rechts) by Robert Herbst, the “Grosswörterbuch Wirstschaftsenglisch” by Hamblock/Wessels, and the “Wirtschafts Wörterbuch” by von Eichborn, also in no particular order. I think that belonging to MATI is important because it provides a way to connect and interact with other translators in the Midwest. Translation is usually a somewhat solitary endeavor, but without the interaction with and feedback from other translators it is too easy to become complacent and to lose one’s translation competence.